A dentist offering restorative dental services seeks to restore function and aesthetics to teeth compromised through sports injury, decay, or damage occurring from overcrowding or irregular tooth development. There are numerous procedures and treatments included in the category of 'restorative' dentistry, many of which are now available from a general dentist. In your search for a reputable restorative dentist in Fort Lauderdale, consider Bové Dentistry for treatment. We understand the needs of patients seeking restorative dentistry and provide safe, comfortable treatment. Should I See a Restorative Dental Specialist? While it may seem like a good choice to select a specialist when you need restorative dentistry, the better option is to choose a general dentist who offers additional services under one roof. Patients indicate that convenience plays a significant role in whether or not they complete treatment once begun; seeing the same dentist for checkups, cleanings, fillings, root canal treatment, and cosmetic dental care eliminates the need to drive to another location for specialized dentistry. At Bové Dentistry, we want to be your family's one and only dentist- and we're committed to training and continuing education to ensure you receive the best care possible. Is There a Reputable Restorative Dentist in Fort Lauderdale? What Are the Basic Restorative Dental Services? 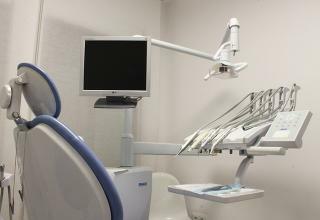 You'll also find us on the cutting- edge of new technology dentistry, utilizing the latest equipment and techniques to deliver a positive dental experience to our patients of all ages. We are proud to use digital imaging, intraoral cameras, and anxiety-free anesthesia as part of your treatment plan. When Should I See a Restorative Dentist? If you've received a referral from your general dentist to see a restorative dentist in Fort Lauderdale, time is of the essence in receiving treatment to prevent more costly dental care down the road. If it's been some time since your last dental visit, Bové Dentistry can provide preventive, restorative, and cosmetic dentistry services to help you achieve your smile goals. Meet with our staff during a free consultation visit and let us create a treatment plan that results in a more beautiful, healthy smile. The procedure of dental reconstruction allows for full and partial restoration, replacing some or all of a patient's teeth to restore health, function, and aesthetics. Modern reconstructive dentistry draws from many different services, treatments, and procedures to create a beautiful, healthy smile that lasts a lifetime. If you're looking into dental reconstruction in Fort Lauderdale, you'll find Bové Dentistry on the leading edge of the latest methods and practices. Call our staff to set up a new patient consult to assess your goals in reconstructive dental care. Costs of reconstruction dentistry in Fort Lauderdale vary significantly from provider to provider, making it essential to spend an adequate amount of time calling around, checking online, and seeking a personal referral to find the best rates on treatment. At Bové Dentistry, we are pleased to offer our qualifying patients no-interest financing for six months on cosmetic restoration treatment. We currently offer a fantastic special price of just $5,399 for reconstruction for up to 6 consecutive front teeth optimizing treatment with any combination of veneers or crowns for a beautiful, healthy smile you'll want to show off at every opportunity. 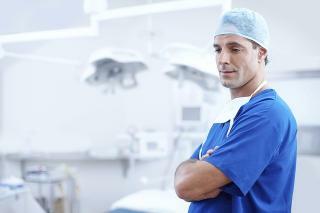 Are Dental Implants Part of Reconstructive Dentistry? While many patients consider implants as a part of their dental reconstruction procedure, others find that dental veneers and crowns do an excellent job of improving the appearance of their smile. Modern dentistry seeks to save a tooth whenever possible, so extraction and replacement with a dental prosthetic is not always the best option. Meet with our staff at Bové Dentistry for a full-mouth assessment and our professional recommendation on the best way to achieve a beautiful, functional smile- we'll be happy to answer all of your questions about the newest treatments available. Porcelain dental veneers hide imperfections and flaws, such as chips, cracks, small gaps, slightly crooked teeth, and severe discoloration from medications. We highly recommend veneers for patients searching for a cost-effective way to see an immediate improvement in their smile without spending a fortune on dental care. Veneers and crowns work together to provide our patients with affordable dental reconstruction in Fort Lauderdale. Find out more about both of these treatments by exploring our online Library of Articles section where you'll see answers to commonly asked questions and informative content written by dental experts. How Do I Choose the Right Reconstruction Dentist? Look for a dental practice offering full-service dental care rather than a dental specialist offering only one or two treatment options. Get to know a local dentist in your community by scheduling checkups and cleanings. If you're satisfied with the level of care you receive for smaller services, consider scheduling a consultation appointment to discuss additional treatment. At Bové Dentistry, we want to be your family's one-and-only dental care provider- and we offer multiple options for patients requiring dental reconstruction in Fort Lauderdale. Nearly all dental patients respond favorably to the results they experience through teeth whitening compared with the costs. While professional whitening costs more than a store-bought whitening product, the overall value in whitening at your dentist is greater. If you're thinking about having your teeth whitened, consider Bové Dentistry for affordable teeth whitening in Fort Lauderdale. We recommend our safe and effective take-home treatment as the most convenient way to experience beautiful, dazzling-white teeth. There are many occasions when a beautiful, white smile could produce favorable results- just looking in the mirror and seeing a bright smile shining back at you can boost self-confidence throughout your day. Dental experts advise patients to stay away from store-bought gels, pastes, and other products that can harm your teeth by eroding enamel and leaving your teeth prone to decay. At Bové Dentistry, we only recommend our professional strength treatment for the best results. Our procedure is safe and effective, so you'll see consistent results without worrying that your teeth will be shockingly white. Our take-home whitening kit allows you to whiten when and where it's most convenient for you so that you can wake up to a beautiful new smile in as little as one day. How Are Dental Teeth Whiteners Different From Whitening Toothpaste? The whitening ingredients in over-the-counter toothpaste cannot compare with the powerful components in our pro-dental whitening treatment at Bové Dentistry. Abrasive whitening pastes can quickly wear away the protective enamel layer on the surface of your teeth, leaving them sensitive to heat and cold, and causing tooth decay which leads to costly dental treatment. Our gentle whitening formula is not abrasive yet can remove deep stains and discolorations that OTC pastes and gels cannot remove. We offer the most effective teeth whitening in Fort Lauderdale. 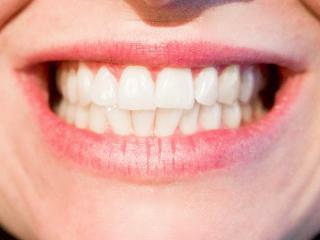 Can Teeth Whitening Remove All Dental Stains? While pro-grade whitening is the most effective way to remove stains, there are types of tooth discoloration that even professional whitening cannot resolve. Certain prescription medications leave teeth severely discolored and subject to other kinds of treatment. We are pleased to offer affordable dental veneers to our patients who are looking for an alternative treatment offering more permanent results. Let our staff at Bové Dentistry help you choose the right treatment to address tooth discoloration or staining. We can answer all of your questions about teeth whitening in Fort Lauderdale when you schedule a new patient consult. We currently offer our Professional Teeth Whitening Take Home Kit for just $199- significant savings over the regular cost.